Our high density Brushwood panels are constructed using high powered machinery which at extreme pressures compress the Brushwood between high tensile wires. Compaction of the bruswood is a critical factor in ensuring the lifetime of the product and subsequently we are able to provide an evenly distributed panel with weights of up to 100 kilos. 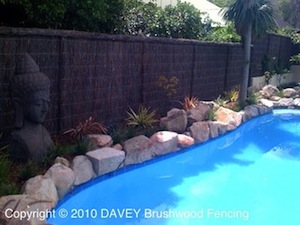 Brushwood has a natural appearance and provides instant privacy.